One cool upcoming event in Butuan is set on October 27, 2012. This city is really kicking off the night life as numerous bars and resto are up to their gigs to spark the night of locals and guests and highlights the tambayan of Butuanons. 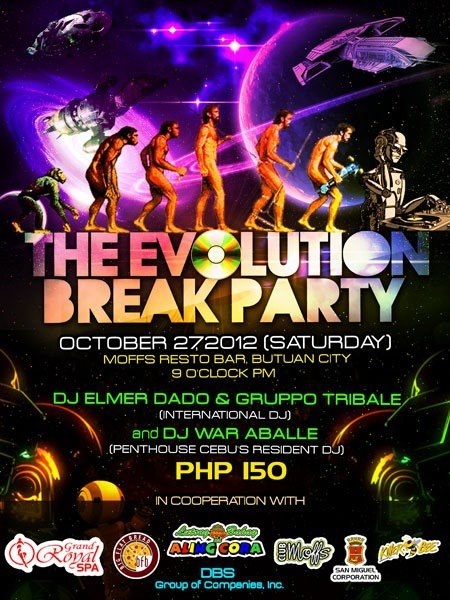 This time , EVOLUTION BREAK PARTY at Moffs Resto Bar in Butuan ( just few meters from Gaisano Mall) , will test the reckoning power of the regions power house in the dance floor. Good food and beers will surely overflow while listening to the mix and music magic of the masters themselves, DJ ELMER DADO & GRUPO TRIBALE and Cebu's Prime DJ WAR ABALLE! See you there.! Let's PARTEE! Great concept for a party. I'm sure it's gonna be fun. Galing naman ng pagkagawa ng concept nito. Weeee!! Party time!! I hope for its success! Partey partey! 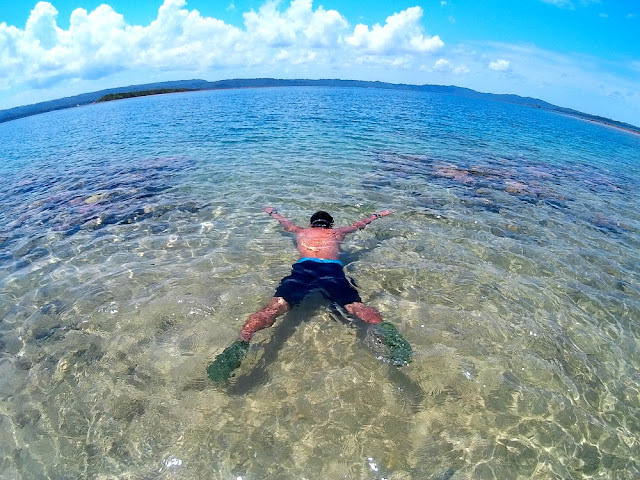 Nice one Butuan! Wow, looks like a big event! Good food and beer + Music Mix by top DJs = FUN! Let's Party!